English watchmaking has a proud history of military timepieces – think marine chronometers and WWWs – so when Peter Speake-Marin presented his take on an entry level, sporty timepiece last year with the Spirit Pioneer, it was a nod to a long history. With a retail price of CHF9800, the limited edition of 68 pieces swiftly sold out. The Spirit Mark 2 is 42 mm in diameter, while the Spirit Pioneer was 38 mm. This is an important improvement as the earlier Spirit Pioneer seemed a big small relative to its thickness (which was the case for the all of the first generation Piccadilly watches). These new case proportions of wider and slimmer are similar to what Peter has done for the rest of his watches like the enamel dial Resilience. And the Spirit Mark 2 has a useful five day power reserve, thanks to the Technotime TT738 movement inside; its predecessor had an ETA calibre with an approximately two day power reserve. 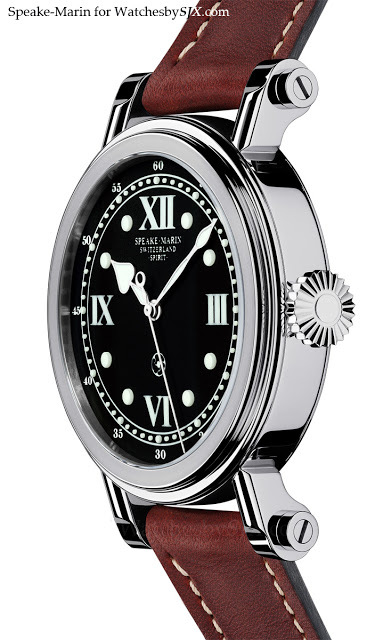 Also notable is the one piece dial of the Spirit Mark 2. A dial mould is created, after which layers of black lacquer and white Super-Luminova are applied. Once the entire thing is set, the dial is removed as a single piece, and then attached to a dial plate. 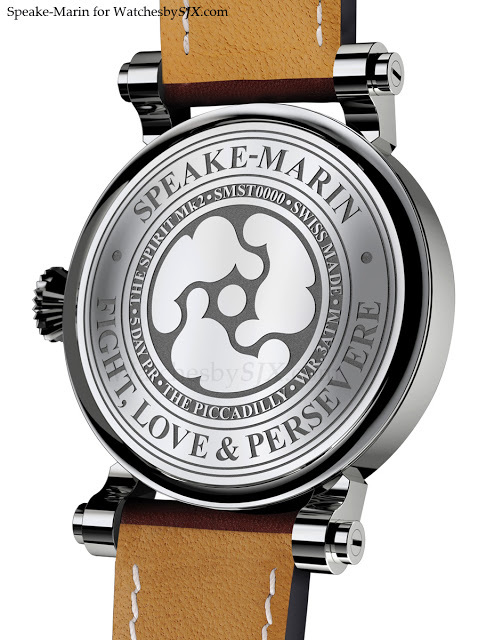 The case back is solid and engraved with the Speake-Marin topping tool logo. And the price will be approximately CHF11,000. 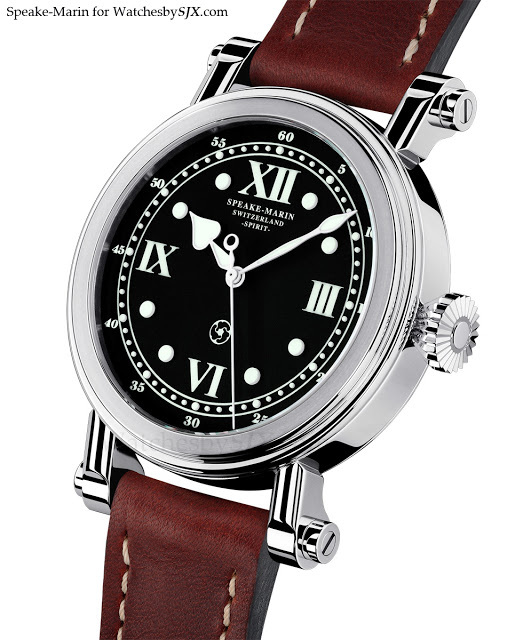 Speake-Marin's first chronograph, the Spirit Seafire, will soon be presented at Baselworld. Cased in titanium with a military-inspired dial, the Spirit Seafire continues to broaden Speake-Marin's entry level line of timepieces.